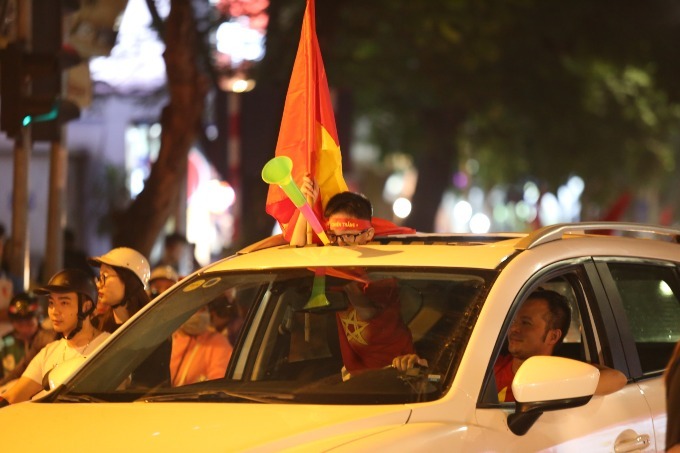 The crazy football atmosphere was back in town as Vietnam won the first leg of AFF Cup 2018 semi-finals. 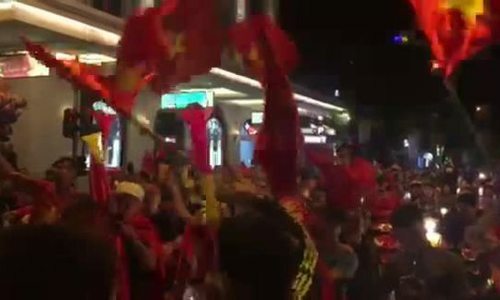 Fans burst out in joyous exuberance as the final whistle blew and Vietnam beat the Philippines 2-1 in the first leg of their AFF Cup semifinal encounter. 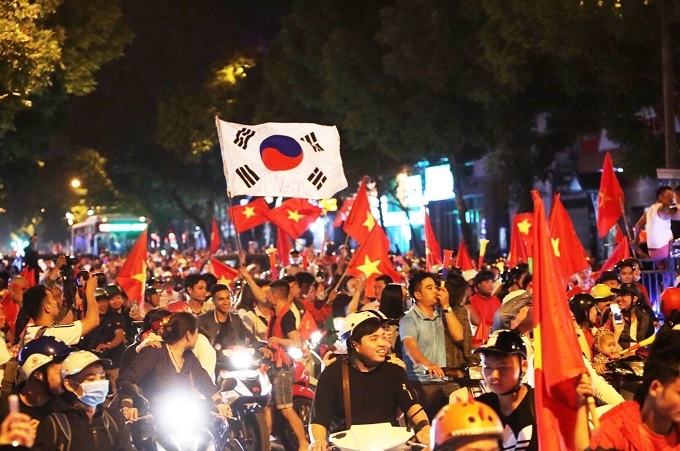 South Korea flag can also be seen on the street, as head coach Park Hang-seo is from the northeastern Asian country. 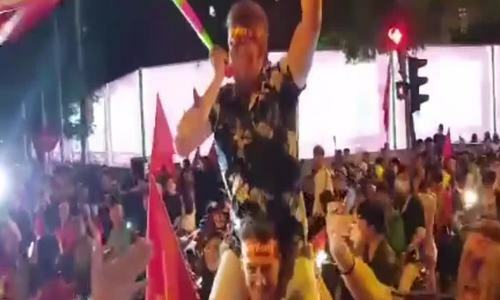 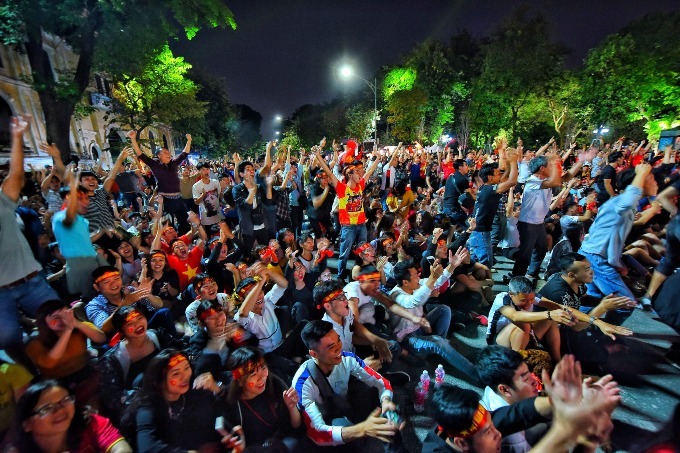 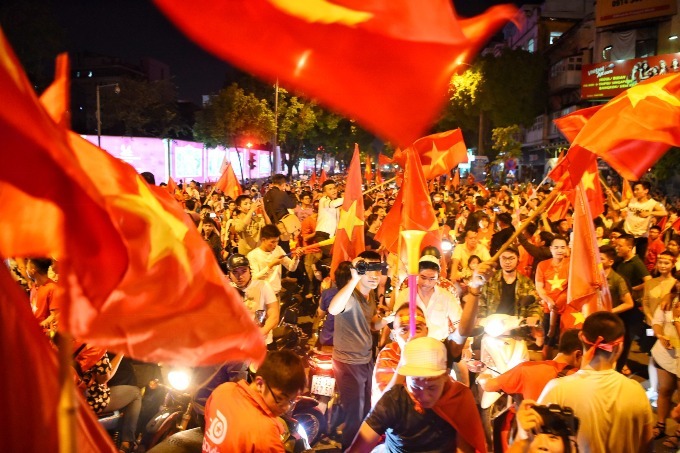 As has become a tradition now, every big victory by the Vietnamese men’s football team is celebrated on the streets by thousands upon thousands of residents. 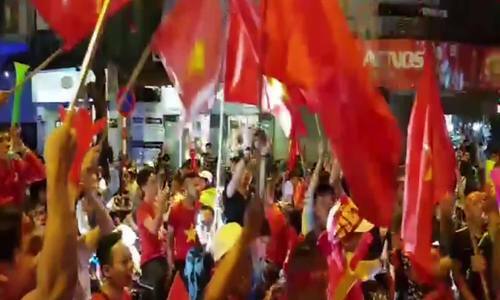 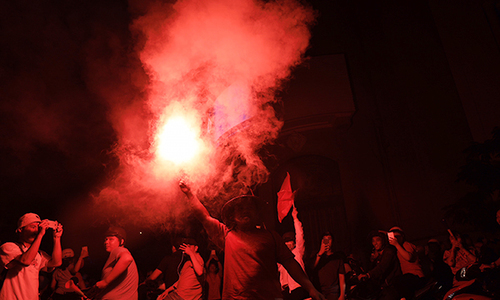 The flags and horns were back again in Sunday’s post-victory celebrations by people all over Vietnam. 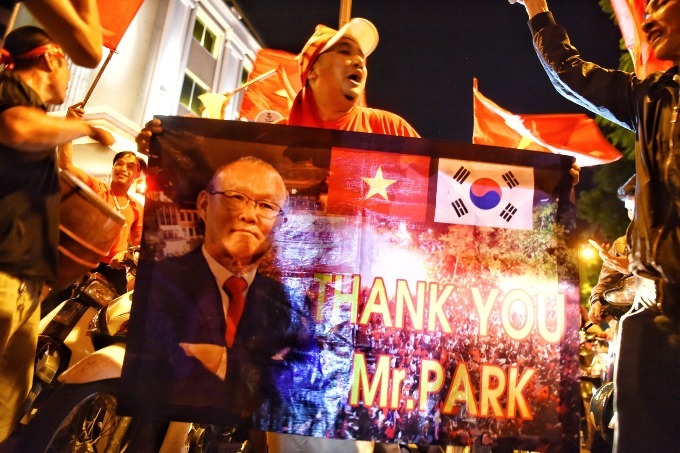 A fan holds a special poster of head coach Park Hang-seo that thanks him for what he has done for Vietnamese football. 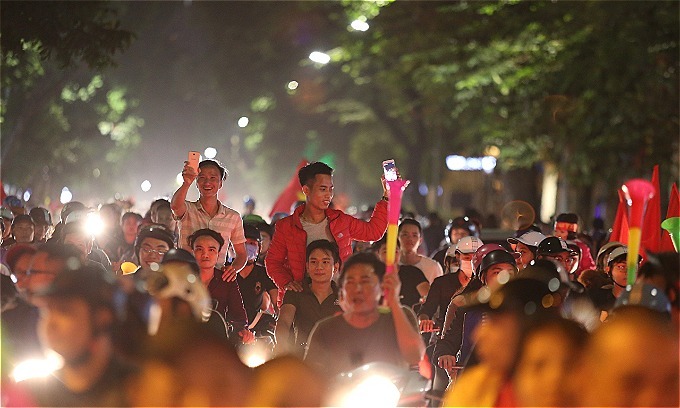 People of all ages were out on the streets, with parents bringing the little ones along. 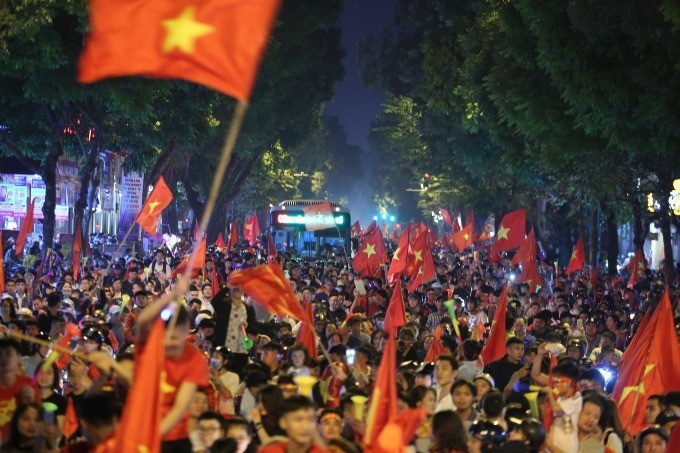 The Hoan Kiem Lake area was jam-packed with delirious fans waving the Vietnamese flag. 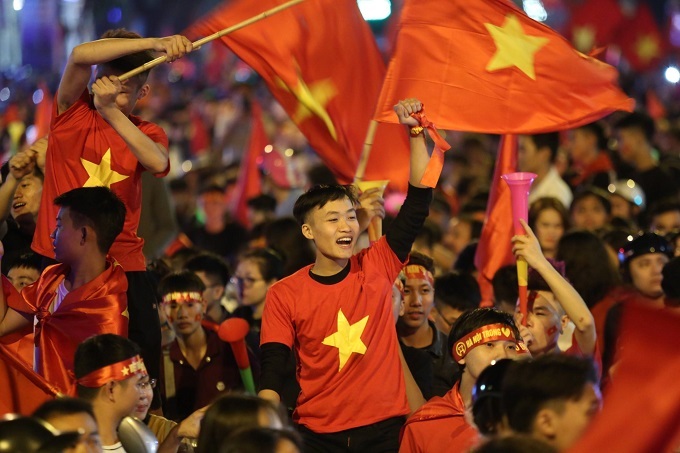 After the first leg match in the Philippines's Panaad Stadium, two teams will meet for the second leg of the semifinal at the My Dinh National Stadium in Hanoi on December 6.